How To Choose A Mediator? Do you have a conflict that needs to be resolved? Is it high conflict or not? A trained and experienced mediator provides effective conflict resolution for couples, families, and colleagues with or without high conflict. Choosing the right mediator for you will make the process to finding the right path to your future easier. In the end you want a partner that is fair to both parties without taking sides. They should help the parties to advocate their positions so everyone involved better understands the what and why of that position – not a third-party who is detached and making decisions for you. A facilitator that helps all accomplish their objectives, not the facilitator’s. A professional that allows you proceed at your own pace and provides the ability to stop and/or change directions at any point and supports reconciliation if that is what the parties want. What kind of mediation training education and experience do you have? A mediator may or may not have training in any and all of the areas of conflict resolution, basic mediation, followed by advanced training for basic divorce mediation, high conflict mediation, elder, family, or workplace/business mediation. It’s important to find a mediator who has training and experience in all the areas that fit your situation. Are you solely a mediator? While it’s not bad to be a diversified professional, part-time mediators are limited in the time they can dedicate to mediation training, skill development, and mediation client work. It is important to understand that mediators may also work as attorneys, counselors, social workers, clergy, and other professions and may have a different approach to mediation, as well as less focus on mediation. At Mediation Path, I work solely as a mediator or instructor in mediation. What is your understanding of Arizona law? This is especially important in cases of divorce, elder and family mediation where it may be necessary to go to court or require legally enforceable agreements. Mediation, as provided by Arizona statute and agreement of parties involved, is conducted confidentially and without unneeded third parties present. Neither the mediator nor the others involved are allowed to testify in court about what was said in mediation. What happens in your mediation process? Mediation is a choice to solve a problem or end a conflict with agreement by all parties involved. Mediation meetings are confidential. The mediator acts as an impartial and fair participant in conversations, allowing parties to speak their side of the story. The amount of time it takes to reach an agreement can vary depending on the complexity of the dispute. Each mediation is different based on the persons involved. What is the cost of mediation? 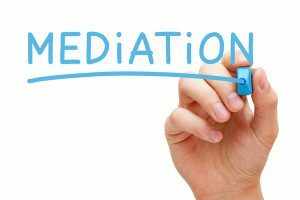 The cost of mediation is significantly less than litigation with attorneys and may be dependent on the amount of time it takes to come to an agreement. Ask your prospective mediator for the total costs of all services from beginning to end, including court costs, not just an hourly fee, so that you and the other parties involved have a clear understanding of all costs before mediation begins. Mediation is a voluntary, respectful, and confidential way to resolve conflicts between couples, families, and coworkers. CALL NOW to learn more. Content copyright © Mediation Path. All rights reserved.